Snowbird, the local name for the dark-eyed junco (Junco hyemalis). These birds actual breed here, but they are most obvious in winter after a good snowfall. This form is usually called the slate-colored junco. This bird is exactly why I opted not to join the Carroll Co. birder’s club. 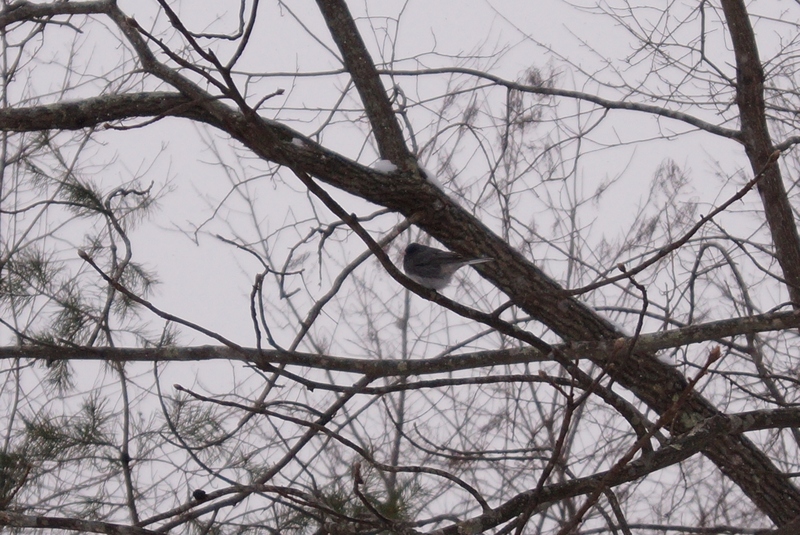 I described a dark-eyed junco as a snow bird and some officious so-and-so jumped all over for it. I said ‘screw you’ and walked away. Snowbird is what my gramma called ’em and that worked for me.